Hink's unusual flexible flashgun will be on shelves next year for £149.99. British manufacturer Hink Pro has said that its new flexible flashgun, the Spacefish, will be going on sale next year for £149.99 (including VAT). The bendy light’s prospects don’t seem to have been hurt by the paltry number of pledges to its crowd-funding campaign. The UK-based firm is pressing on with its proposed February-March shipping date. The Spacefish will be a flash gun with a long, flexible neck that can be pointed in almost any direction. The light features an LED modelling lamp, which doubles as an autofocus-assist lamp in dim shooting conditions. 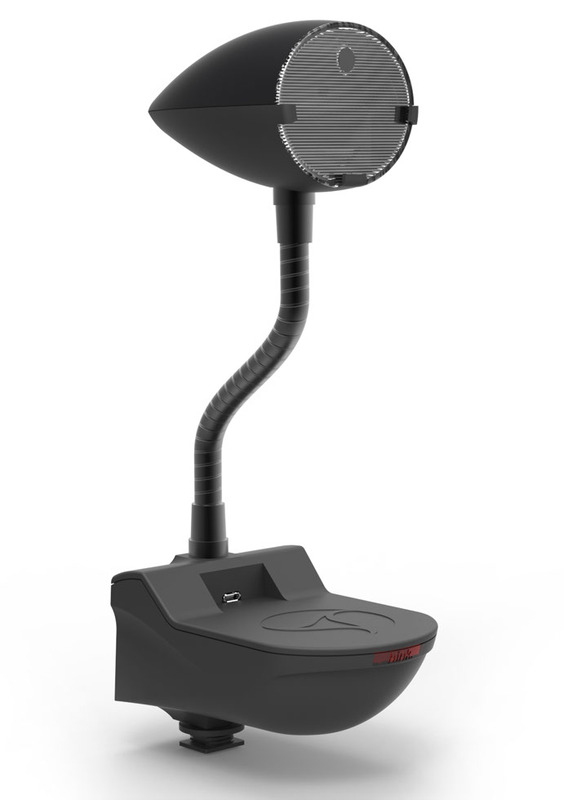 Powered by a lithium-ion battery, the flash head recycles in a speedy 0.8 seconds and recharges via USB port. Extra accessories, such as battery packs, radio triggers and video lamp attachments are to come later. Are you looking forward to getting your hands on one of these?